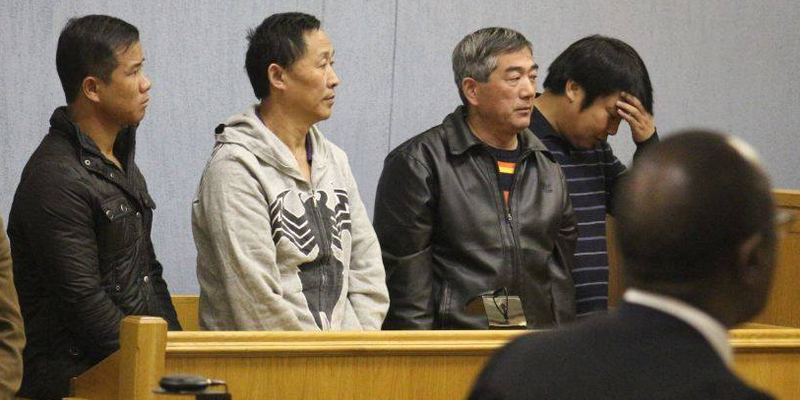 FOUR Chinese nationals serving a 14-year jail term have approached the high court this week to appeal the sentence as it was “too severe”, according to their lawyers. 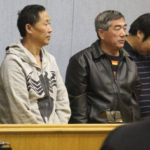 Wang Hui, 43, Li Zhibing, 57, Pu Xuexin, 53 and Li Xiaoliang, 34 tried to smuggle 14 rhino horns and a leopard skin out of Namibia in 2014. How they managed to get through security detection machines at the Hosea Kutako International Airport is to date a mystery. Their lawyer, Sisa Namandje, earlier this week told Judge Alfred Siboleka that the 14-year-jail term imposed on his clients at the lower courts was very severe. He felt it was unfair that his clients got 14 years, given that they spent almost a year in custody, awaiting trial. However, just weeks after the accused persons were sentenced, Environment minister Pohamba Shifeta announced that the maximum penalty for persons dealing in horns will be 25 years or a fine of N$ 500 000. At the time of their sentence in September 2016,14 years was the maximum sentence they could get. “These accused persons went past immigration. This offence is of a serious nature. If they think their sentence is severe, the amended Act is now even more severe, with stringent consequences, rest assured,” State Advocate Simba Nduna said. Judge Siboleka reserved judgement for April 12, 2019.